Increasing focus on improving outcomes at lower costs is contributing to a more complex inpatient environment. Sicker patients, quicker pace, and expanding treatment options necessitate highly effective teams. These factors can also create inherent challenges to team performance given the complexity of teams, dispersion of patients, necessity for effective communication, and paucity of team training. Measuring the quality and efficacy of teamwork can be challenging as well. 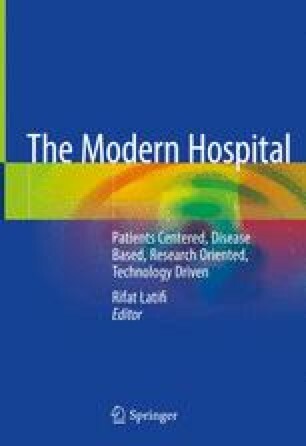 In this chapter we will propose several methods to optimize teamwork in today’s hospital. Ideally, recognizing barriers to teamwork and using a combination of approaches to facilitate these complex interactions will lead to improved patient outcomes. Quality AfHRa. Saving lives and saving money: Hospital-Acquired Conditions Update. Rockville, MD; 2015. Available from: https://www.ahrq.gov/professionals/quality-patient-safety/pfp/interimhacrate2014.html. Commission TJ. Sentinel Event Statistics Released for 2015. 2015 Available from: http://info.jcrinc.com/rs/494-MTZ-066/images/Sentinel39.pdf. Agency for Healthcare Research and Quality. Team Strategies and Tools to Enhance Performance and Patient Safety. 2017, April. Available from: https://www.ahrq.gov/teamstepps/about-teamstepps/index.html. Klampfer B, Flin R, Helmreich RL, et al. Enhancing performance in high risk environments: recommendations for the use of behavioural markers. Swissair Training Centre, Zurich; July 5–6, 2001. Retrieved from: http://www.raes-hfg.com/reports/notechs-swiss.pdf. Rich VL, Brennan PJ, May L. Unit clinical leadership: a successful partnership between frontline clinicians, quality and senior leaders. 21st Annual National Forum on Quality Improvement in Health Care. Orlando; 2009; Found at https://pdfs.semanticscholar.org/presentation/f851/93b38c420b1969da2aac47d0d3c7290ec676.pdf. Rich VL, Brennan PJ. Improvement projects led by unit-based teams of nurse, physician, and quality leaders reduce infections, lower costs, improve patient satisfaction, and nurse–physician communication. (AHRQ Health Care Innovations Exchange. Apr 14, 2010. (Updated: Jul 16, 2014. ); https://innovations.ahrq.gov/profiles/improvement-projects-led-unit-based-teams-nurse-physician-and-quality-leaders-reduce. Cortese DA, Smoldt RK. 5 success factors for physician-administrator partnerships: Medical Group Management Association; Available from: https://www.mgma.com/practice-resources/mgma-connection-plus/online-only/2015/september/5-success-factors-for-physician-administrator-partnerships.